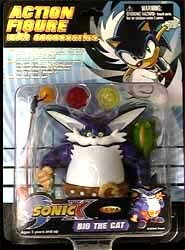 Big the Cat gives the best value for money in this range. Not only is Big... er big, but he also comes with some really impressive accessories. 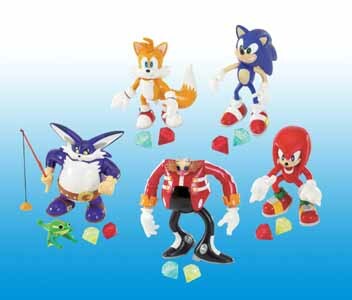 He has two chaos emeralds (like the rest of the characters in this range), but he also comes complete with a neat fishing rod and a cool frog. Now that is extra value for money.